A proud member of the Doyle Sails Group, Doyle Boston Sailmakers has a full sales, service and production loft in Sarnia Ontario. 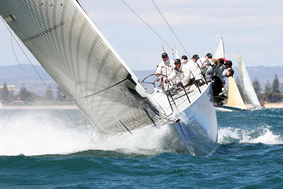 Doyle Boston specializes in racing and cruising sails. With over 7600 square feet, our state-of-the-art production facility accommodates sails for most boats. Doyle Boston is also a full service loft. Established in the 1920’s by Howard and Lolly Boston in Mt. Clemens MI, Boston Sails specialized in small one-design and ice-boat sails. Because of the success in the one-design fleets of the 30’s and 40’s, Boston Sails was chosen to build sails for larger cruising and racing sailboats. The Sarnia location was established in 1968 in Sarnia, Ontario, Canada by Spike Boston. Doyle Boston Sailmakers is proud if its Sailmaking heritage. 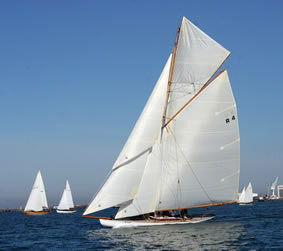 Doyle Boston is a third-generation Sailmaker. Continuous innovation and advanced technology, Design excellence, undoubtedly one the most advanced in house sail production systems available, has made Doyle Boston one of the worlds leading Sailmakers. Doyle Boston has the ability to provide a vast range of sails, supplying Optimists through to the world’s largest Superyachts. Regardless of whether you are the weekend cruiser looking for the most durable sail available, the most advanced grand prix yacht, or the largest Superyacht, we have the personal experience, design capability and product selection that will best suit your needs. Let Doyle Boston show you the way. Today, the Doyle Boston team is active in racing in the Viper 640, S2 7.9 Class, Ultimate 20, Farr 30, J120, Melges 32, Melges 24, Beneteau 10R and 36.7, MORC and numerous small boat and big boat PHRF, IRC and ORR programs in North America.